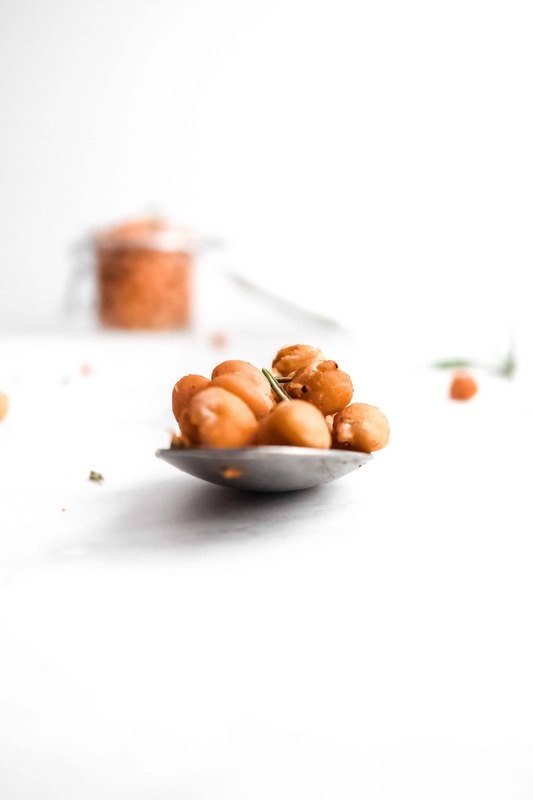 Cajun roasted chickpeas with delightful spicy notes and a few well-deserved shavings of vegan cheese. Talk about a match made in heaven! 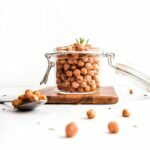 I’ve been testing out recipes to bring you the very best cajun roasted chickpeas that are devilishly indulgent, but fully vegan. I’ve recently become obsessed with the idea of batch baking. What does that mean, you ask? Imagine taking one afternoon every once in a while (say 2 weeks) and devoting it solely to prepping food. What are the benefits? And if that’s not enough to win you over, it also makes perfect sense from the environmental perspective. The vast majority of vegan snacks come pre-packaged, with portions being very small, leaving us snack-craving vegans feeling guilty for using so much unnecessary packaging. Making my own, super simple, but at least as delicious as store-bought snacks is my answer! I think we’ve established that these cajun chickpeas work amazingly on their own. However, there’s more! They make the most delicious crunchy topping for creamy soups. Moreover, they’re a great way of adding protein to your pasta sauces or even risotto, stews and can also be enjoyed as a side dish. 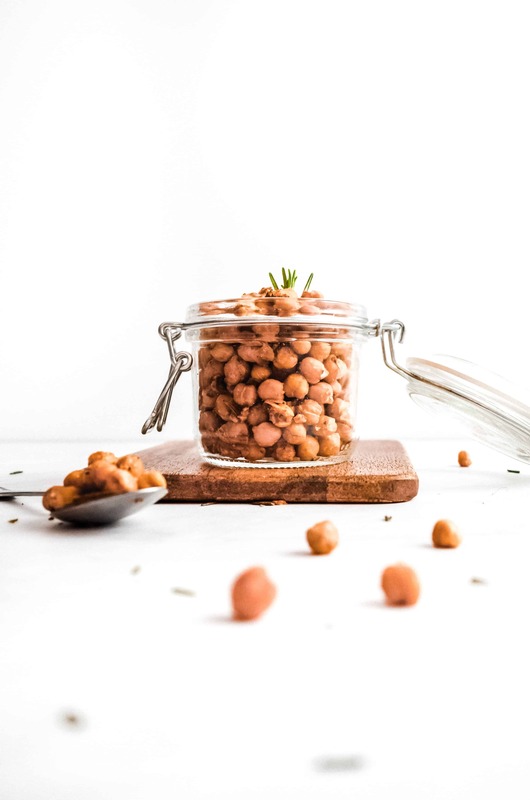 Cajun Roasted Chickpeas – where with the water? Rinse your chickpeas thoroughly and pat dry. 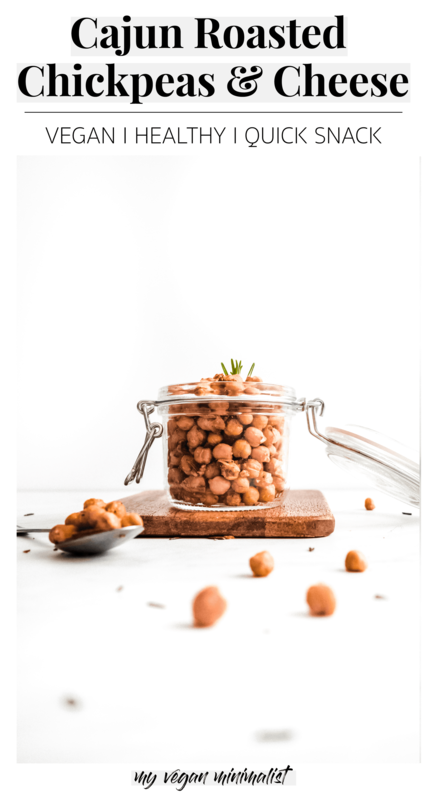 Don’t forget you can use chickpea water (aquafaba) to make desserts! Sprinkle with all your seasoning and vegan cheese. Toss around. Roast for 30-35 minutes, remembering to toss around every 10 minutes. Best enjoyed fresh out of the oven! Good luck making these and let me know your thoughts and suggestions in the comments below! I would love to hear more of your snack ideas!